What Is a Tea Latte and How Do You Make One? Fans of tea who also want the milky richness found in a caffe latte can enjoy a tea latte. These simple and delicious drinks are easy to make at home and the taste can rival any you get at the local coffee shop. Better yet, you can completely customize a tea latte any way you like. Tea lattes are a style of milk tea and a variation on cafe lattes. Like cafe lattes, they are typically made with steamed milk. However, instead of espresso, they contain tea, usually in the form of matcha green tea or a concentrate made from strong-brewed tea. A tea latte may be hot or cold and all you need are a few simple ingredients, including your favorite tea. The basic ingredients needed to make a tea latte include brewed tea, milk, and a sweetener. They can be served warm, though they're also popular as an iced latte. Another option is to create a blended drink. 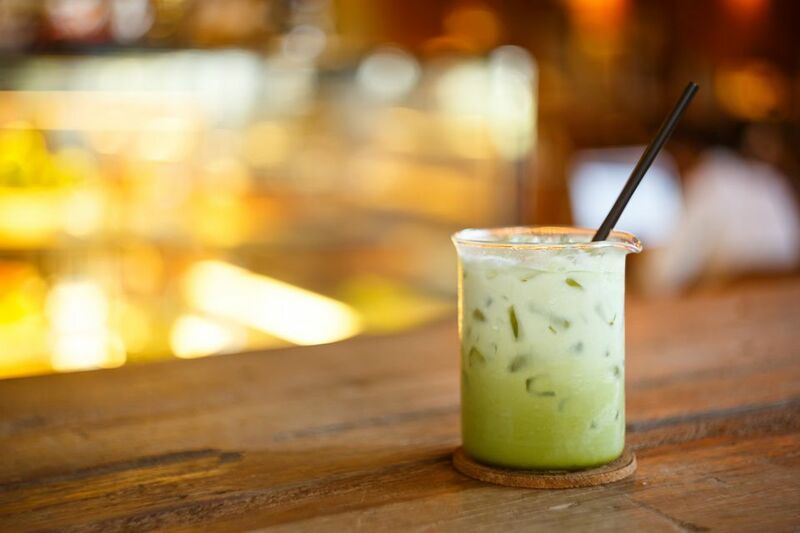 For this, you can either blend the latte ingredients with about 1 cup of ice or skip the ice for a drink more like the matcha green tea smoothie. The most popular type of tea latte is the chai latte. This is a Westernized variation on Indian masala chai and is often served over ice or blended. Other common teas used in lattes include matcha green tea and Earl Grey, though you can use any type of tea you like. By definition, lattes include milk and whole milk tends to work best, especially if you're going to steam and froth it. If you prefer, tea lattes are just as tasty when made with soy milk or other milk alternatives. When they are made as dry drinks (like caffe lattes with more frothed milk than creaminess), they can be adorned with latte art. Tea lattes are often sweetened with sugar or honey. Again, like the espresso version, you can create flavored lattes. Depending on the tea, you can add a variety of flavors like caramel, vanilla, chocolate, and cinnamon. The easiest way to do this is to buy or make a flavored simple syrup. These can also be used to sweeten your coffee, cocktails, and other drinks. The yerba mate latte recipe is a perfect example of how to make a classic tea latte. Begin by simmering milk and water in a small saucepan until warm. For a single drink, 5 ounces of water and 3 tablespoons of milk is a good foundation. Steep your tea in the warm liquid for the appropriate amount of time indicated for that tea. Typically, four to six minutes will give it a nice, strong flavor. Add the sweetener to taste. Stir well. To create a great latte froth, use a frother or a small whisk to give it some air. Serve it warm or chill it for a few minutes before serving it in an ice-filled glass. For cold tea lattes, you can also reserve the milk and shake it in a cocktail shaker with chilled tea and your sweetener of choice. Why Is Espresso Used in So Many Coffeehouse Drinks? What Is a Caffè Breve Latte?